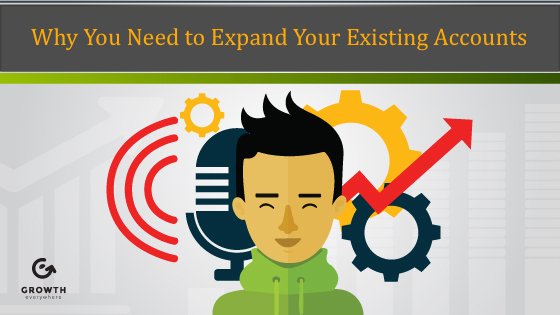 As a marketer, you’re always looking for ways to grow. Instead of starting from scratch, it’s often easier to look at the customers you already have and figure out how you can expand those relationships. For example, if you’re selling e-commerce products, you can think about what kind of upsells you can add to increase your average cart value. There’s a scale that traffic falls under: cold, warm, and hot. The people who have bought from you already are your hot traffic. People who are your fans are going to continue to buy from you over time, because they like who you are, they like your product and they like what you stand for. Think about what you can do to expand that relationship. For me, my main business is services-based so I have to think about, “Who are we doing well for?” Every quarter, we send out an NPS (Net Promoter Score) survey to our current clients just to see what they think. We’re going to ask them for a testimonial. We’re going to ask them who else would be a good fit for us to work with. We’re going to ask for referrals. How Do You Upsell Happy Customers? At the same time, we’re going to come to these satisfied customers with additional value add. That’s exactly what I did last week in San Francisco. I came into the meetings prepared, saying, “Hey, you guys are missing out on this. Your competitors are doing this and they’re doing it better than you are.” So then they’re ready to expand the account, because they trust us and like the value add that we’ve provided so far. They’re willing to take the relationship further. Especially with a services-based business, you have to think about how long you can keep each relationship going, how you can continue to add value over time. It doesn’t necessarily have to be you upselling. It could be you introducing them to other services with other people or products as well. You might or might not receive a commission off of that, but it doesn’t matter – you’re just thinking about how you can continue to help. It’s all about helping others first and then you can figure out how to expand. At the end of the day, it really goes both ways. Instead of worrying about acquiring more customers all the time, think about what you can do for the loyal customers you already have. It actually costs more to acquire a customer versus expanding a current customer since a faithful customer will have a higher ROI and a higher lifetime value. If you think about it, it’s like any relationship. The people who have been with me throughout my life, those who I have nurtured a relationship with over the years—those are are the people that I trust, that I’d reach out to if I was in trouble. You want to nurture relationships with your customers and think about what you can do to maximize those relationships. At the end of the day, no matter what kind of business you’re in, it’s about caring. If you can just care, it’s going to be a lot easier for you. It’s going to be a more enjoyable journey. So make it easy, genuinely care about the people you’re doing business with, and go from there.